With Sylvester Stallone’s third installment in his The Expendables series set to begin filming in August, it’s surprising we still don’t know for sure who’s going to be joining the team for their next adventure. Nothing like waiting til the last minute, eh? With time ticking down, we’ve learned that several big names are in negotiations to join the action extravaganza. Some of these names we’ve heard before, while others are new additions or fanboy fantasy fulfillment made real. According to Deadline, “advanced negotiations” are currently underway with actors Wesley Snipes, Nicolas Cage, Jackie Chan and Milla Jovovich. We’d heard Snipes was already on board (Stallone dropped that bomb personally, via his Twitter account, not long ago), but Jovovich came out of left field. Cage and Chan feel mostly like a nod to the fact that the actors turn up on almost every “actors we want to see in future Expendables movies” lists that hit the Internet. 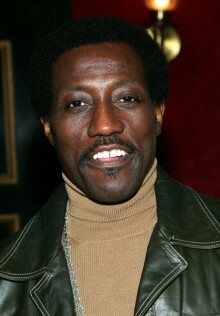 The choices are interesting – we’re totally on board with Snipes, who’s looking to reboot his career after time in jail for his various tax issues. Chan and Jovovich seem like replacements for other actors on Stallone’s wish list – Donnie Yen turned down a part in Expendables 2, and early buzz had Gina Carano potentially joining the third film. While my own personal preference would be to see Yen and Carano in this new sequel, Jovovich and Chan will work. If Jackie were 10 years younger, I’d be more excited. The real wild card here is Cage. Which Nicolas Cage will we get in an Expendables movie? The Oscar winner or the Wicker Man remake star? Does it even matter? Maybe he can just play his character from Bad Lieutenant – I’d be cool with that. At any rate, expect these deals to come together sooner rather than later. With that August start date looming, we suspect these negotiations will wind up quickly. UPDATE: The Expendables 3 was just given a release date of August 15, 2014.